If you are considering installing a TPO single ply roofing membrane, it is critical for you to purchase it from a reputable manufacturer who has been producing TPO membranes for many years and is using a chemical formulation that you can trust. Here is a list of leading manufacturers in the roofing industry in the USA, and Europe, who produce high quality TPO membranes. Note that in Europe TPO membranes have a different name-FPO. Flex Roofing systems is recognized in the industry as a pioneer in single ply membrane roofing systems, providing a wide range of commercial, industrial and residential low-slope roofing applications. The company was established in 1988 and was one of the first manufacturers of modified PVC single ply roofing membranes. By choosing a TPO roof from Flex, you will be sure that it will be installed only by certified installers who have special training and experience with Flex products and techniques (all Flex products are installed by their expert installers). In addition to TPO roofing membranes, Flex offers commercial roofing products such as PVC, Modified Bitumen, and Coal Tar Elastomer roofing systems. The combination of an advanced high quality roofing system and quality control in the installation process makes Flex a premium provider for Cool Roof, Green Roof, Metal Roof Retrofit and advanced flexible Solar Roof systems. Since its inception in 1962, Carlisle has been recognized as the leading manufacturer in single ply roofing solutions. The company offers top quality TPO roofing membranes; the white and tan Sure-Weld® TPO membranes are ENERGY STAR®-qualified and Cool Roof Rating Council (CRRC)-certified. Carlisle’s continues to research and develop advanced technologies and manufacturing practices that support the Building Green concept. For each product Carlisle manufactures, the focus is always on promoting sustainable sites, protecting the atmosphere, and conserving energy, materials and resources. Carlisle also offers a wide range of residential and commercial roofing solutions in addition to TPO, which include EPDM, PVC and FleeceBACK roofing systems, accessories, insulation materials, skylights, coatings, and metal products. In January 2011, the company announced that it will cease the sale of both TPO and PVC single ply roofing membranes. Dow Building solutions currently specializes in insulation, house wrap, sealants and adhesive products for commercial and residential construction. GAF is one of the oldest, largest and most reputable roofing manufacturers in the US. Founded in 1886, GAF provides a wide range of high quality solutions for both residential and commercial roofing needs. The company has manufacturing facilities all across the US for faster and more convenient service. GAF offers high quality TPO single ply roofing membranes and has been the winner of the 2011 Product Innovation Award for EverGuard Extreme® TPO. In addition to TPO membranes, GAF also provides Asphalt Shingles, Slate, Modified Bitumen, PVC, and Liquid-Applied roofing membranes as well as a wide range of insulation, fasteners, adhesives, cements and coatings products. Johns Manville is one of the oldest manufacturers of roofing and insulation solutions in the US, boasting 150 years in the industry. JM has a number of manufacturing facilities both in Europe and China. JM is committed to evaluating each step of every production process to ensure it is delivering the highest quality to its residential, commercial and industrial customers. JM is also an industry leader in developing and manufacturing innovative sustainable and environmentally friendly new roofing and insulation products. JM offers an extensive range of high quality low slope roofing solutions which include: TPO, PVC, EPDM, Modified Bitumen and Liquid Applied roofing membranes. Mule-Hide Products Co was established in 1906 and continues to manufacture premium quality cutting edge roofing products that have a reputation for long lasting performance. The company began manufacturing single-ply systems in 1985, which include high quality TPO, PVC and EPDM roofing membranes that meet the latest needs and requirements of residential, commercial and industrial designers and architects. The company has distribution centers that service US and parts of Canada and is proud to provide total systems solutions as well as installation guidance and techniques to ensure a sustainable, watertight roof. Since 1980, Roofing RPI has been providing high performance single ply roofing systems to the industrial, commercial and residential roofing markets, including EPDM and TPO. The company is committed to supplying membranes that offer exceptional durability, performance, and ease of installation. RPI concentrates on partnering with small to medium size roofing contractors, providing superior customer service and support. 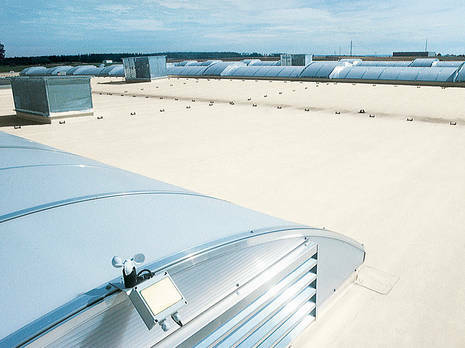 Their white TPO roofing membrane has earned the Energy Star designation. RPI private labels single ply roofing materials, produced by other manufacturers. 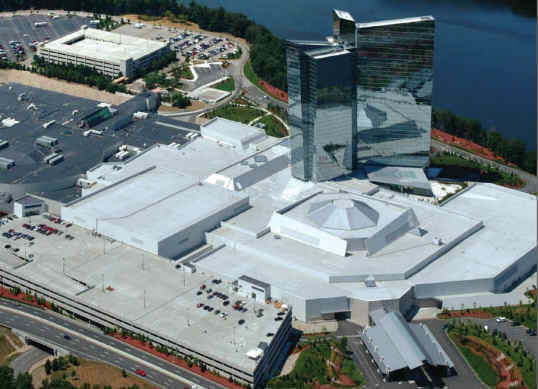 Versico Roofing Systems has an 18 year track record of manufacturing high quality single ply roofing products and is one of the largest providers of these products in the world. Versico’s wide range of single ply roofing membranes are able to meet multiple design needs in residential and commercial construction. The company offers TPO, PVC and EPDM roofing membranes along with a full line of accessories and insulation solutions. Versico Roofing Systems is fully committed to Building Green practices and its TPO and PVC roofing membranes are Energy Star Certified. Versico private labels Carlisle’s TPO, PVC and EPDM membranes. Bauder Roofing has a 150 year old history, and was established in 1852 in Stuttgart, Germany. For decades the company manufactured asphalt roofing paper, bituminous waterproofing membranes and polyurethane foam thermal insulation boards. In 2000, Bauder Roofing began manufacturing high performance PVC and FPO membranes. Today the company has a solid reputation and ranks second in Germany and third in Europe as a leading manufacturer of waterproofing membranes. For over 40 years, RENOLIT has been setting the trend for synthetic roofing membranes in Europe and across the globe. The company offers a wide range of synthetic roofing membranes such PVC and FPO single ply membranes. Renolit’s roofing systems are recognized for their quality and innovative technology and are used worldwide both in commercial and residential construction. Founded in Turin, Italy in 1936, IMPER has been specializing in waterproofing roofing membranes, earning a solid reputation in the European commercial and residential construction industry for its commitment to high quality, durable roofing products that are able to reduce the effects that aggressive or corrosive agents of any kind have on buildings. Imper entered the single ply roofing market in 1999, producing top quality FPO membranes that are sold across Europe. Fact: EPDM is not installed in California on anything other than motorized mobile homes in the factory. TPO still comes apart at the seams and the weather doesn’t even get below freezing very often. Could you kindly guide me about who are the manufactures of TPO resin pellets? Who is the dominant one? Best Regards. What about Firestone Lenny? Big omission….seems this article and subsequent list is biased and not very comprehensive….also missing is GenFlex…. Firestone’s brother. Do you work for firestone John? Yes…for the US you missed the boat. Firestone was not listed. And since you listed Versico, you should also include GenFlex which was purchased by Bridgestone America back in 2006. Can you guide me to EPDM membrane manufacturers who can supply waterproofing membranes of width 9m and higher.